What’s the deal with humans? Why do we all want to be the same? Meg Lewis is a designer creating experiences for happy companies and a one-on-one educator creating happier lives for humans of all kinds. 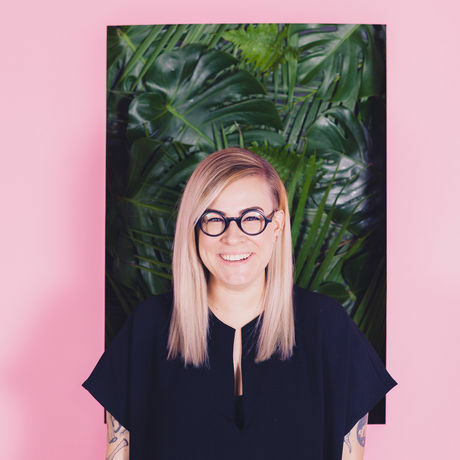 Meg is the founder of Ghostly Ferns, a collective of designers & commercial artists and is the co-founder of Fool Proof, a shared workspace for creativity & collaboration in Minneapolis. She specializes in creating emotional connections between businesses and their audiences by adding personality to their brand. Meg is also a sought-after speaker and educator, traveling the world to present at conferences and private events on personal brand, defining a purpose, and living an authentic life. Follow Meg on Instagram and Twitter at @darngooood.